From our humble beginnings in the late 60’s in our family garage to our reputation as the finest purveyor of Mercedes W113 Pagodas, the Hatch name has become synonymous with quality when referring to fine European automobiles. With a focus on Mercedes Benz and Porsche, we pride ourselves on presenting inventory for the discerning collector and educated enthusiast. Our goal is to offer the highest quality automobile available. 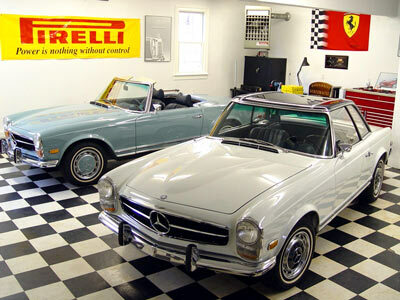 We maintain an inventory comprised of automobiles that we would be proud to own and have in our private collection.